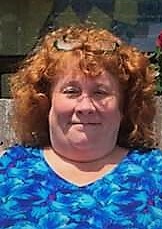 Kimberly Ann Maloney, age 54, of Athens, and formerly of Vader, WA, died Friday evening, November 30, 2018, at her home. Born in Bristol, PA, she was a resident Athens for the past year, and was a daughter of Dennis and Mary Phillips Maloney. Her mother passed away on March 24, 2017. Kimberly had a heart and love for helping others. Her passion was serving as a teacher’s aide for students with special needs. She will be greatly missed by her father, Dennis Maloney of Athens, daughter, Hollis Boyd and husband, Jeremy of Athens, son Chase Edwin Dalgren of Vander, WA, two sisters, Rita Berkenbile and husband, Buddy of Riceville and Christine Pruitt of Anchorage, AK and two brothers, Dennis Maloney, Jr of Athens and Steven Maloney of Kodiak, AK,along with several nieces, nephews and her best friend Shellie Warren. A Celebration of Kimberly’s life will be held at a later date. Ziegler Funeral Home has been entrusted with the care of Kimberly Ann Maloney.